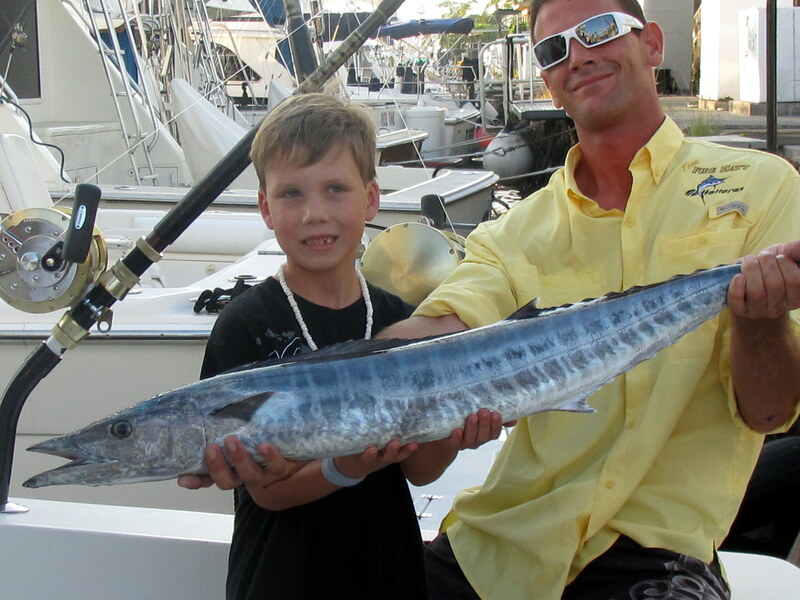 Jeffrey’s Fish of a Lifetime is caught in Kona Hawaii. Jeffrey and Katie Fogel along with Katie’s parents, Greg and Bernadette Zemenick boarded Fire Hatt hoping for a fun trip and a wonderful experience. Since it was Jeffrey’s first fishing trip, the family all agreed that he would be first in the chair. The water was flat and calm so we headed north to the “grounds”. After trolling for about an hour we had our first strike. The long rigger line is screaming! We are hooked up! Jeffrey quickly made his way down from the bridge and began reeling in his first fish, after a short fight, he has a 40lb Shortbill Spearfish to the boat! By the way, the hit was on one of the boats favorite lures, the “Lucky Linda” on a Ken Matsuura reel spooled with 50lb test line. This was Jeffrey’s first fish…ever! How exciting. Crewman Chet Chiara from Anchorage, AK was on board today and did an awesome job subduing the fish. Jeffrey grew up in the Riverdale section of the Bronx, spent his undergrad years at Harvard and then pursued a PhD in Astrophysics at the University of Michigan. Now he is a management consultant at a firm in Princeton, NJ. As you can imagine he didn’t have a great deal of free time for fishing while growing up. 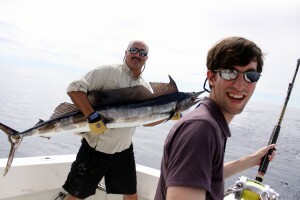 Not long after Jeffrey landed the spearfish we had another strike. This time it is Katie in the chair. 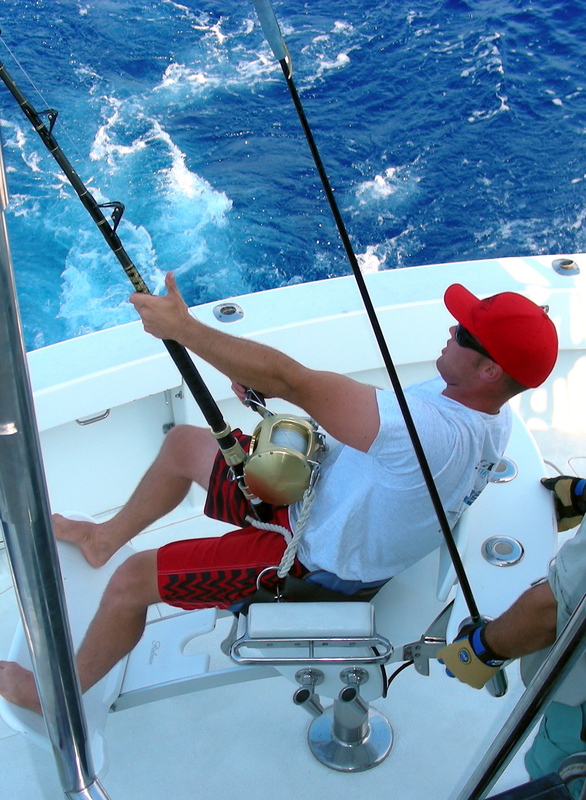 The fish hit the short rigger line and then moved on to take the stinger line. We are hooked up again! 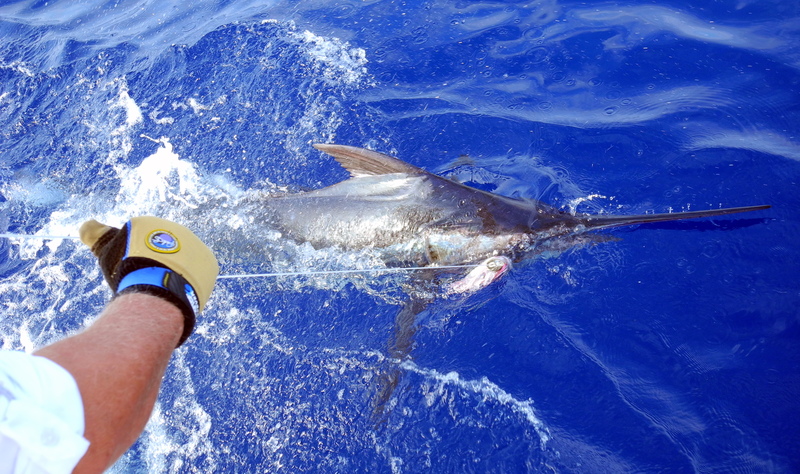 This time it is a Pacific Blue Marlin. Katie got in the chair, snapped herself in and began reeling. 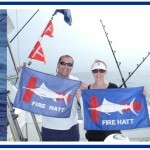 Although Katie wanted to catch the Marlin she didn’t want to injure it. She also began lamenting the fact that she didn’t want the fish to have a heart attack or be injured. 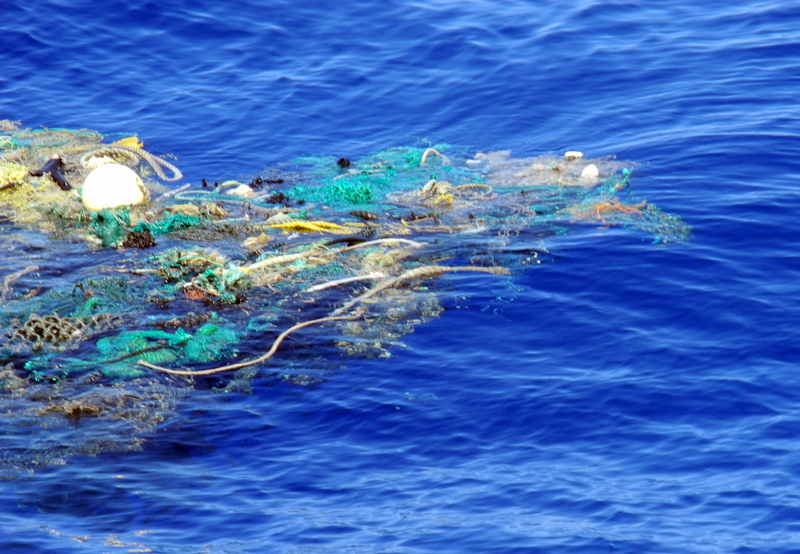 Sooo, not too long after she voiced her concerns the Marlin opted for self-preservation and spit the hook. Needless to say she was disappointed but at the same time relieved that the fish did get away. Katie, who is a Pediatric Orthopedic Physician Assistant in Neptune, NJ has been fishing since she was a child and has a special love of deep sea fishing. 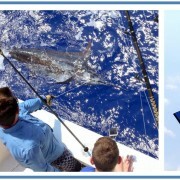 It has always been Katie’s dream to catch a marlin and there it was. 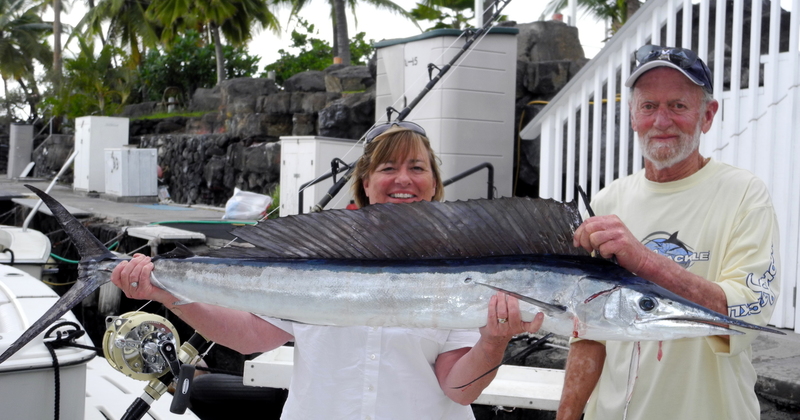 As for Greg and Bernadette, they enjoyed the show, loved watching their daughter and son-inlaw fight fish and making lasting memories of their family fishing trip in Kona Hawaii. I think we will see them again soon.